Each player wants, as pharaoh, to build the most pyramids. To accomplish this, he must first acquire a province, where he can trade and farm. With his profits, he can buy new provinces and building stones to erect pyramids. 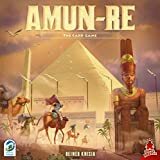 For all his actions, the player must make clever use of his power cards, and always offer appropriate sacrifices to Amun Re. Players must always keep their eyes on the goal of the building of the eternal pyramids or risk falling behind in points. 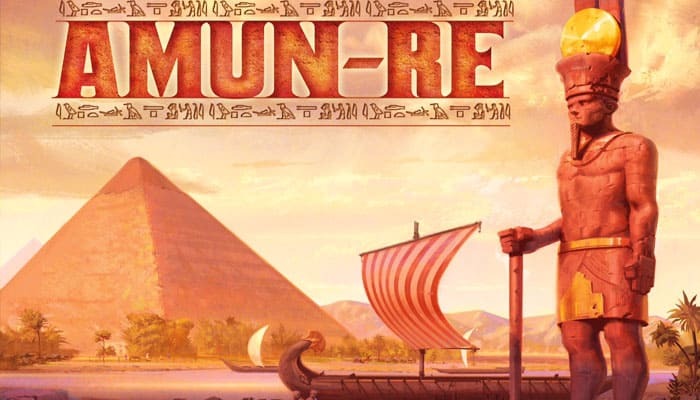 In ancient Egypt, ages and generations rise and fall under the watchful eyes of Amun-Re. Leading a royal family, you will contend with the other families to acquire provinces, build grand temples and pyramids, and cultivate your fields as the capricious Nile permits. At the end of Egypt's classical era, history will revere only one name above all others.